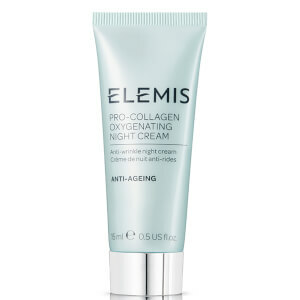 Restore a soft and glowing complexion with the Elemis Pro-Collagen Rose Cleansing Balm; the brand's best-selling, deep-cleansing formula infused with delicate English Rose Extract. Enriched with Rosehip Seed Oil and Padina Pavonica (an anti-ageing Mediterranean algae), the luxurious cleanser gently and effectively dissolves makeup, pollutants and daily impurities, whilst softening and nourishing dry, sensitive skin for long-lasting comfort. Expect a fresh, healthy-looking and hydrated visage with renewed radiance and vitality. Includes a luxury cotton cloth for expert removal without abrasion. Warm into the palms and then massage over the face, neck and décolleté with light circular massage movements. Moisten fingertips and continue to massage. Remove with a warm, damp cotton cleansing cloth. For an intensely nourishing treatment, you can also use this product as a facial mask. Balm may melt when warm but re-sets perfectly when cooled. Avoid contact with eyes.